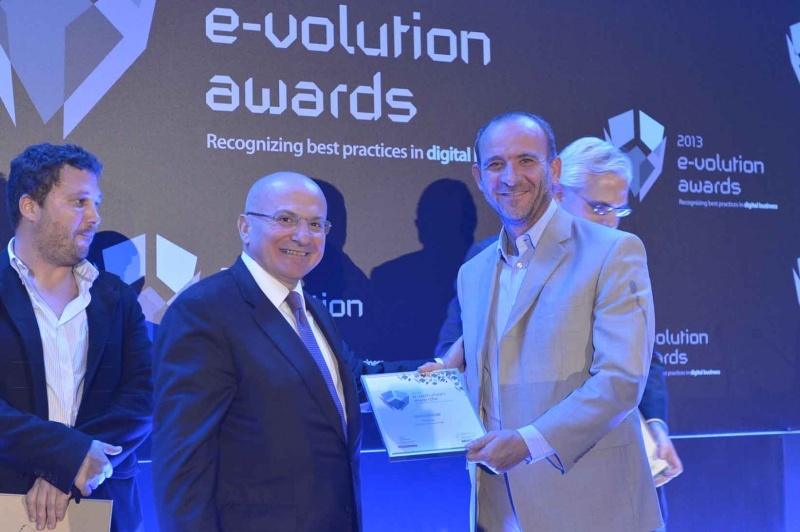 Palo.gr, is the first news search engine in the Greek web, which was awarded with a praise (a commendation) in the category “Research and Development” in the E-volution awards 2013, which were held at the Athenaeum Intercontinental. The whole e-business market attended the ceremony and applauded the companies that stood out during the past year. This commendation is a reward of the serious (significant) research conducted by our team, in order to offer to the Greek internet user a different information experience through a beautiful and user friendly experience environment by using cutting edge technology for direct and qualitative (quality – το qualitative αναφέρεται σε έρευνα) search results. “It is a great pleasure for all of us who worked for the creation and further development of palo.gr, to see our efforts being recognized by people of the digital (economy market) industry, but also from the ELTRUN of Athens University of Economics. Palo.gr managed to change the way in which the Greek web users are looking for the news that interest them. We aim to continue (to offer) offering innovative services to our customers, such as palo Professional, (the) a friendly tool of monitoring (and – delete) reputation management online , which was launched with great success recently “. The e-volution awards honor the best practices in e-business, which are distinguished by fair procedures provided by Boussias Communications Company in collaboration with the Laboratory of Electronic Commerce , ELTRUN, which is a department of Athens University of Economics. The awards held under the auspices of Ministry of Development , Infrastructure, Transport and Networks and the Greek Association of Electronic Commerce (GRECA).